Be the first to spend the winter season in this renovated and all new Hamlet residence in prestigious Kensington Golf & Country Club! 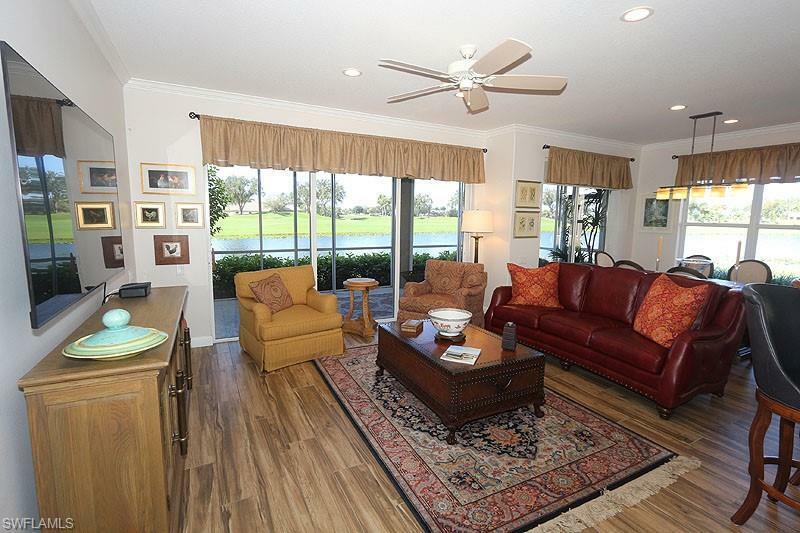 1st floor coach home with a private over-sized lanai with wraparound views of two golf course fairways and a peaceful lake! Popular, open floorplan that features views from every room. Spacious with 2 bedrooms, 2 bathrooms, a cozy den/reading room with queen pull-out sofa, a great room and large kitchen with breakfast bar and informal dining nook. 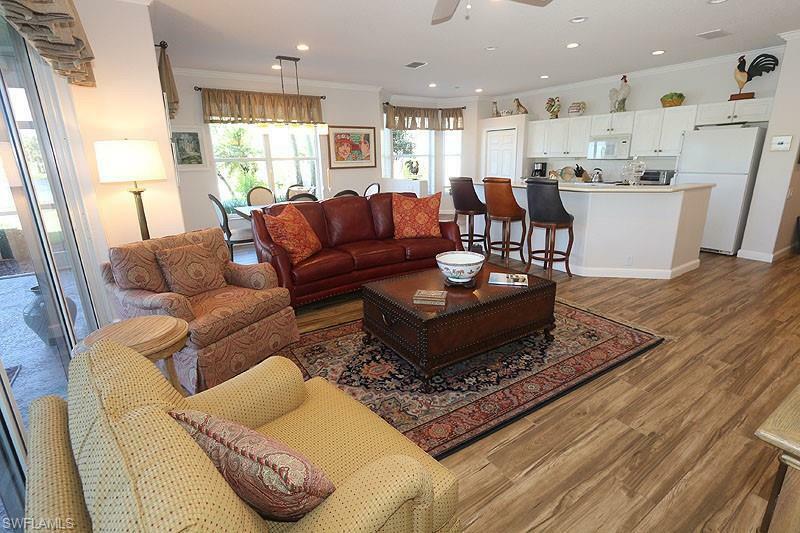 Beautiful wood-look ceramic tile throughout, and newly furnished in summer of 2018! Lanai furniture & informal dining furniture on order and will arrive soon. Large master bedroom has an ensuite bath that includes dual sinks, and separate tub & shower. 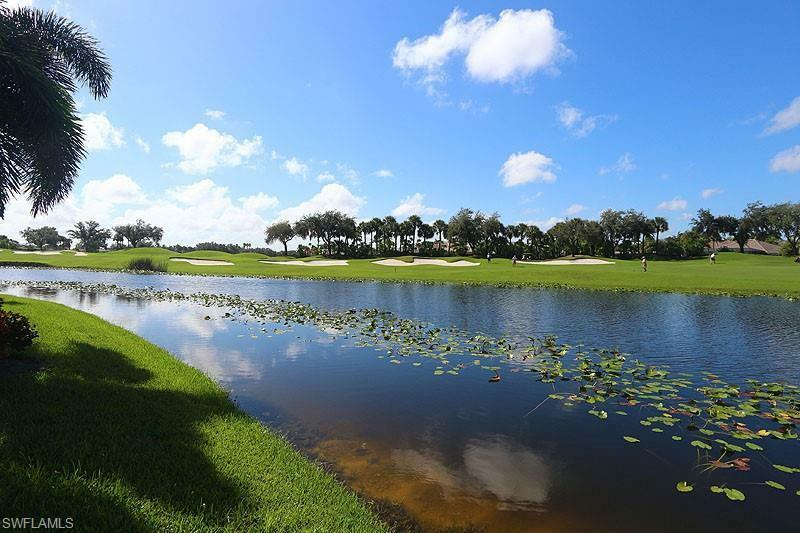 The Kensington clubhouse offers Har-Tru tennis courts, large pool & spa, fitness center, formal dining room , 19th hole casual dining, and many planned social activities and classes to enjoy. 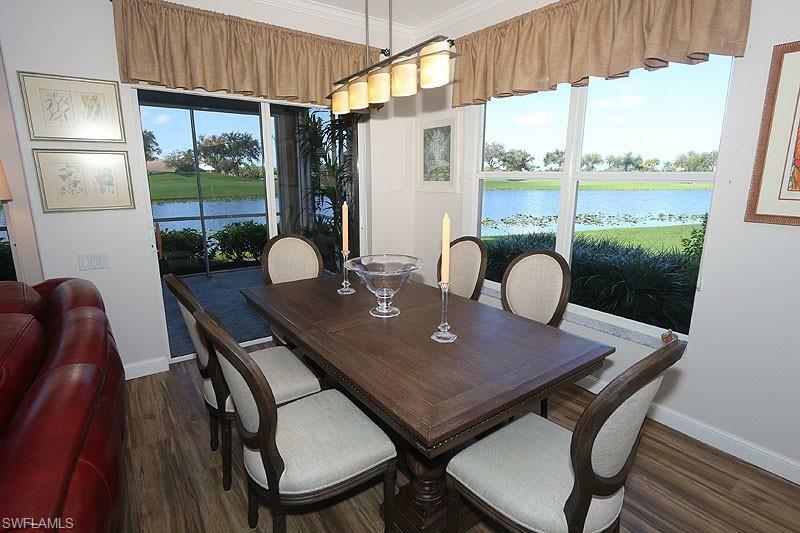 Luxury, location and the country club lifestyle will be exactly what you desire for your Naples vacation.